Hurry!!!!! If you have yet to print this SUPER HOT coupon, be QUICK! There's a NEW Buy 2 Get one FREE 3 Musketeers Candy Bar Coupon that is making for a sweet deal at Walmart. 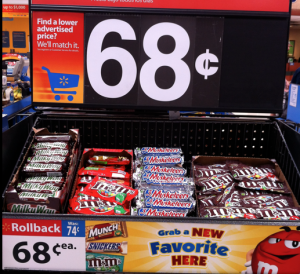 Pick up candy bars for ONLY $.45 when using this coupon. For more of the latest deals & greatest steals, stay tuned to The Coupon Censtation on Facebook.